My Man bought me this mixer almost 10 years ago. I was really into RED back then so he picked out a red Kitchen Aid Mixer. I couldn’t have been more happier. Fast forward 10 years and I’m kinda over the red. 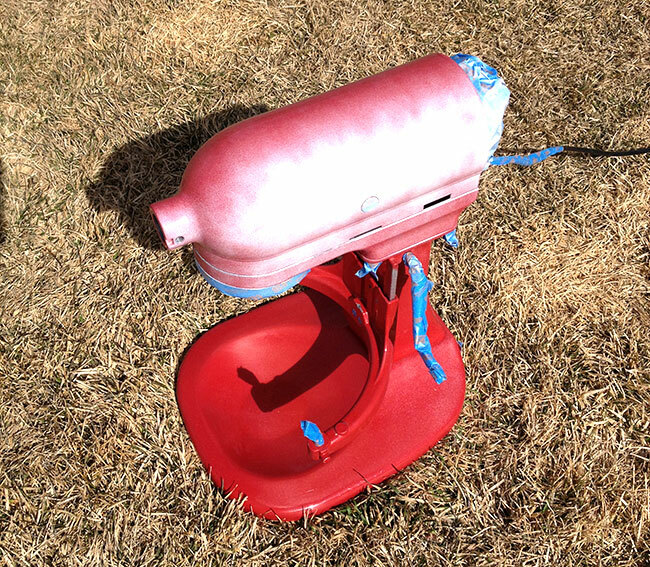 So….I couldn’t justify buying a new one JUST to change the color but I could try to paint it…so I did! Ignore the unfinished bead board and wires hanging down, those are projects in progress. 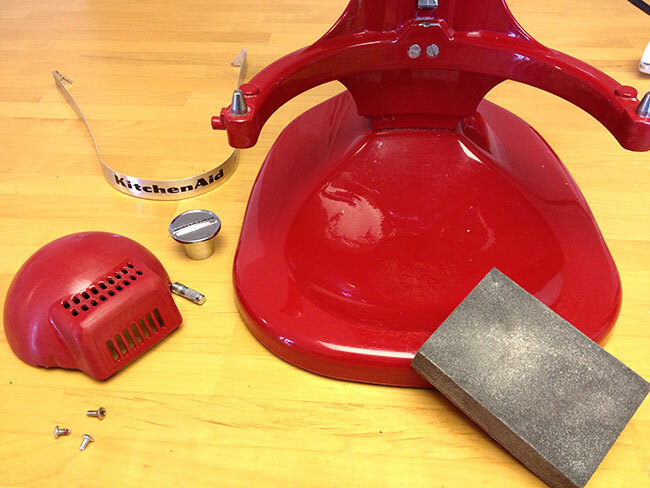 I unscrewed and sanded everything using these instructions from Polished Life Army Style….funny that she went from white to red! I took it outside (these pics were taken early spring so that’s why the grass is dead – yeah, I know, I’m wayyyyy behind!) 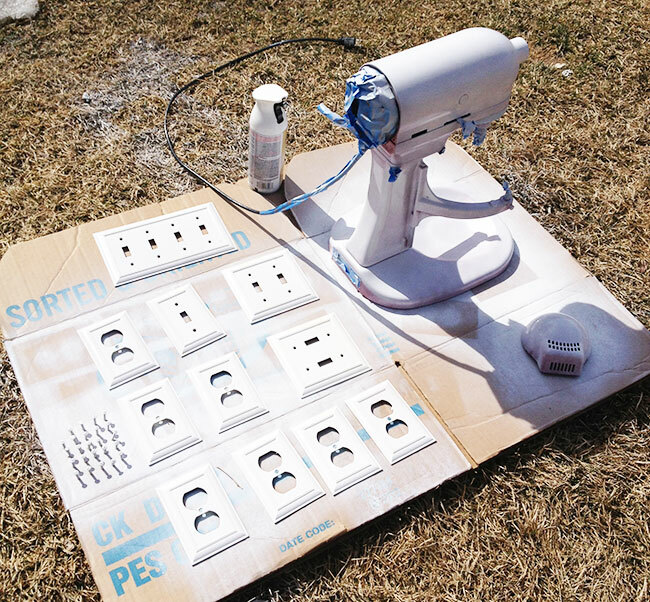 and started painting away with some white spray paint. Don’t look at the outlet covers, they are a different post! I sprayed several light coats of white because I wanted a nice even coat and NO drips. I tried but I got a little one…oh well! What a great idea!!!! I found you on the philofaxy website, by the way. I have the same deal. 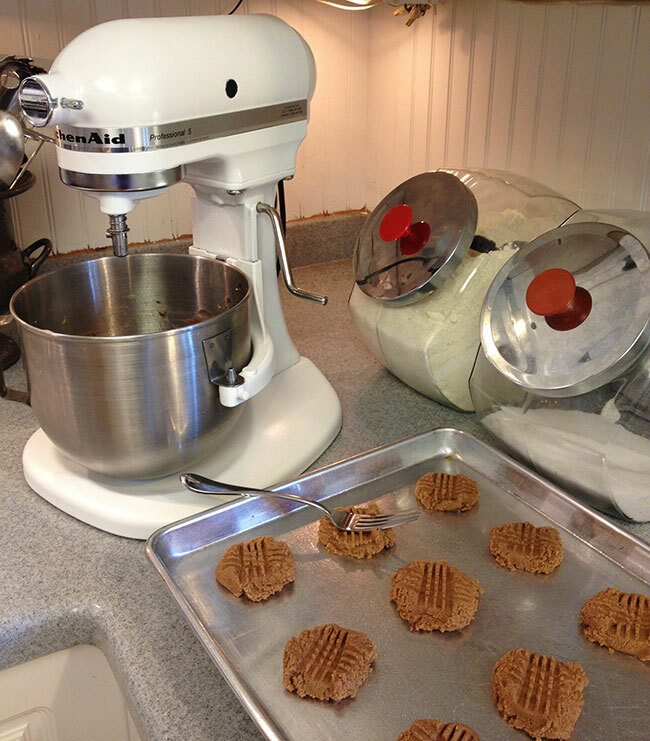 I have a wonderful mixer my brother got me about 15 years ago…and it’s orange. I’m much ore into blues and whites now. So…this is a great idea! Thanks , and great website!! !